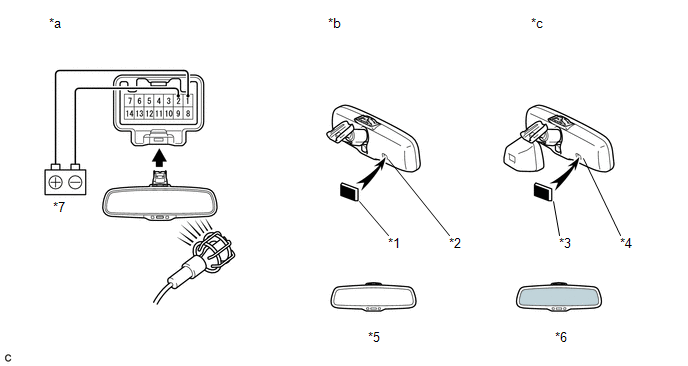 (a) Inspect operation of the electrochromic inner mirror. (1) Connect a positive (+) lead from the battery to terminal 1 and a negative (-) lead to terminal 2. (2) Press the AUTO switch. (3) Attach black colored tape to the forward sensor to prevent it from sensing. (4) Light up the mirror with an electric light, and check that the mirror surface changes from bright to dark. Mirror surface changes from bright to dark.